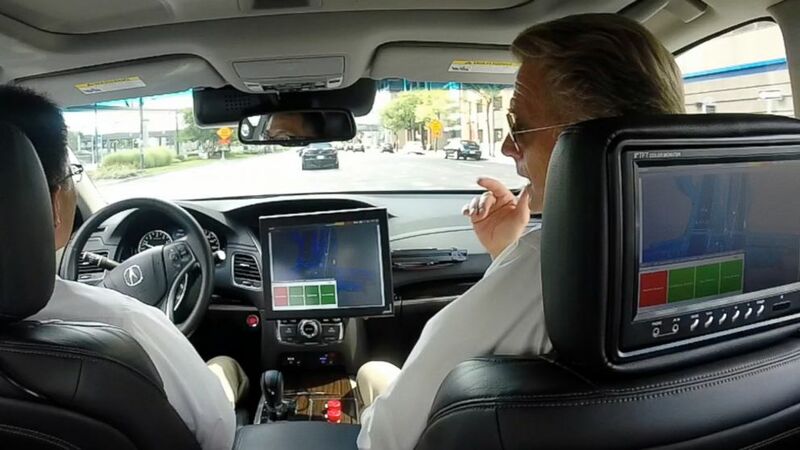 Performance Acura (St. Catharines, Ontario) – Acura Canada shared its vision of the hands-free highway commute Tuesday, a car that can safely drive itself on the freeway while the driver’s hands are off the wheel. While the car is just a prototype, Acura Canada (the luxury division of Honda) says the technology could start appearing on Honda cars in 2020 and beyond. The prototype, an Acura RLX sedan, has cameras that monitor lane marking and multiple radar sensors on the front and sides. On top is a beacon that uses laser beams to continually scan the car’s surroundings, similar to self-driving prototypes already introduced by Google. GPS also helps the car stay on a previously mapped course and follow the speed limit. On a loop around Canada, the car’s driver took his hands off the wheel as the car entered the freeway. It accelerated to the speed limit and applied the brakes if it got too close to a car in front. It signaled to change lanes and waited for an opening. The car merged easily onto two other freeways and edged to the left to avoid a construction zone. To exit, the car reduced its speed to 35 miles per hour on the ramp. The driver’s hands remained off the wheel for the entire eight-mile loop. But Acura says the car will automatically return control to the driver if it senses it can’t handle a situation. One example: If a car cuts in front of the Acura too closely and fast braking is needed. “Honda is aiming to eliminate accidents, not just for the driver but for pedestrians and drivers of other cars,” he said. The company is showing the car as part of the Intelligent Transport Systems World Congress (an annual gathering of engineers and other researchers) soon. Stay tuned for updates.